Dice, and FASA, and Vikings. OH MY! 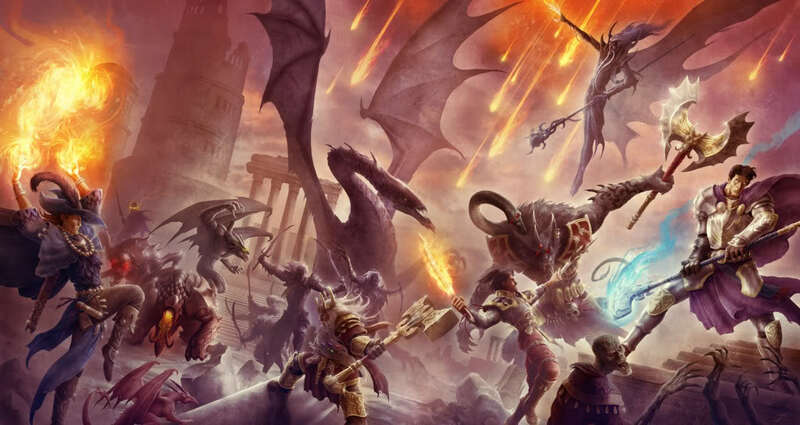 A new year has brought a new horde of awesome RPG kickstarters! 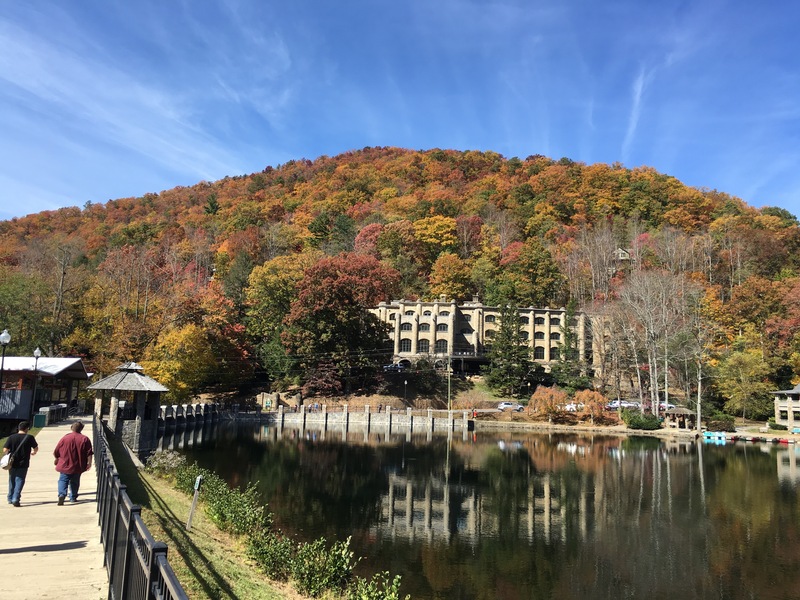 Here are a few the Skyland crew are keeping their eyes on, and a few bonus mini-reviews at the end. First up, DICE! One of the chief complaints about DCCRPG is that it uses weird dice. Personally, weird dice was one of the first things that attracted me to D&D back in the 80s, and having new weird dice brings back all those feelings of mystery and intrigue of discovering the game for the first time. They are expensive, however. 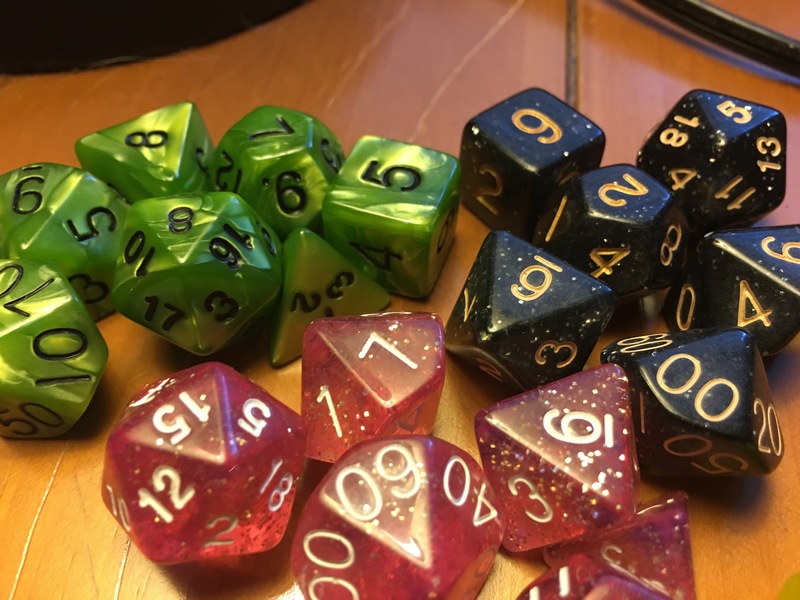 d14s, d16s, d5s, d7s and such aren’t produced in numbers that make them cost effective they way “standard” rpg dice are. There has also been a chorus of DCC fans who want a set of official Goodman Games dice to go with DCCRPG, or dare I say it, a beginner box-set? While a DCC red box is still just a dream, affordable funky dice can be yours, thanks to the Impact Miniatures 14-dice set kickstarter! 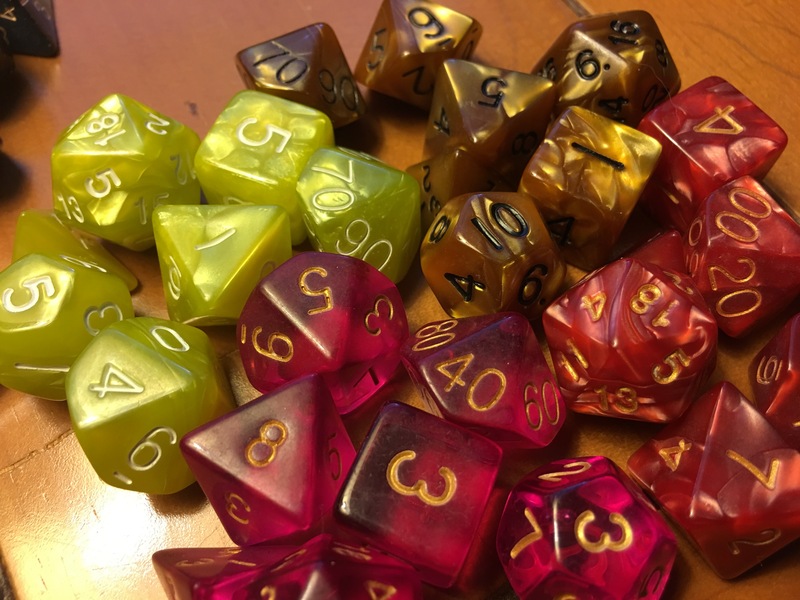 There are tons of options to this kickstarter that allow you to get just the dice you want, and not have to buy in at a higher level just to get what you were looking for. Their “picks” system is confusing to some, but I’ll put it in terms RPG nerds can understand. Its a point-buy system. 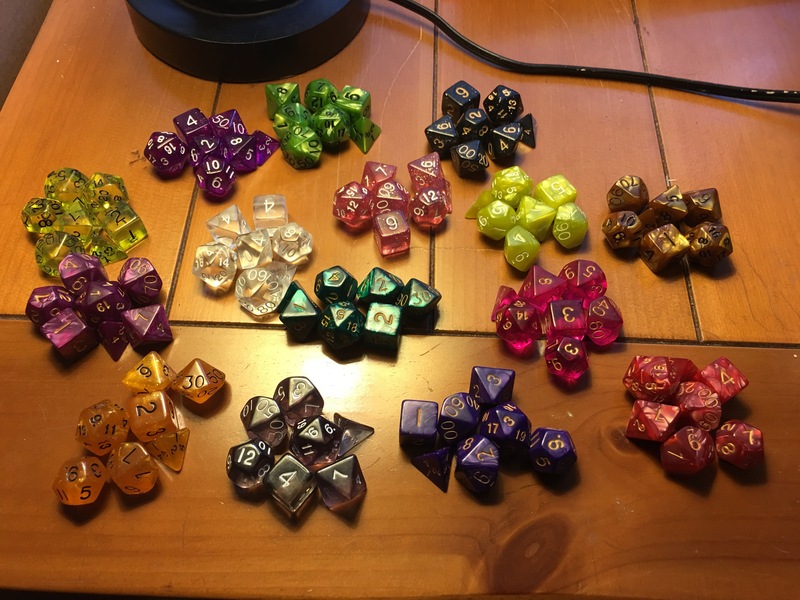 You buy a certain number of “picks” (points), then spend them on the stuff you want, just like building a character, but instead of a gnome illusionist, you end up with a pile of funky dice! The guys at impact have had success with kickstarter before for both minis and dice, so I have every confidence this project will go well. I’m really looking forward to having my DCC dice bag full of DCC dice! Next up, Earthdawn from FASA! Yes, THAT FASA. Probably best known for battletech/mechwarrior, shadowrun, and maybe Crimson Skies, FASA is back with a new edition of Earthdawn. I never personally played the original, but fans seem pretty passionate about the setting, and I’ve heard it mentioned many times when people are adapting a setting to a new RPG system. From what I’ve read it sounds like a “post-apocalyptic emerging from a dark-age” kind of setting, which reminds me (possible inspired the latter?) of Numenera. Dusting off a classic can have mixed results (see Traveller review) but I wish these guys the best. In a time when massive conglomerates are buying up the rights brands/settings we knew from years past, its nice to see a team battle back and reclaim a franchise. Lastly, I have been a big fan of d20monkey almost from day one, and the man behind the comic is involved in designing the logo and graphic work for Iron Edda: War of Metal and Bone. The most recent project of Tracy Barnett, creator of several successful kickstarter RPGs like School Daze and One Shot, Iron Edda is a heavily viking-inspired setting using the FATE core system. It looks pretty intensely awesome. I’ve been looking for an excuse to get more into the FATE system anyway, and this might just be the ticket. Dwarves laying waste to the land in massive metal constructs? Undead giants? Ragnarok? Yep. Sign me up. Book report: I just finished reading Hard Magic, the first book in the Grimnoir Chronicles by Larry Correia. In short, it’s a noir-type alternate history where average people have super powers or magic. Like x-men in the 1930s. Highly recommended. 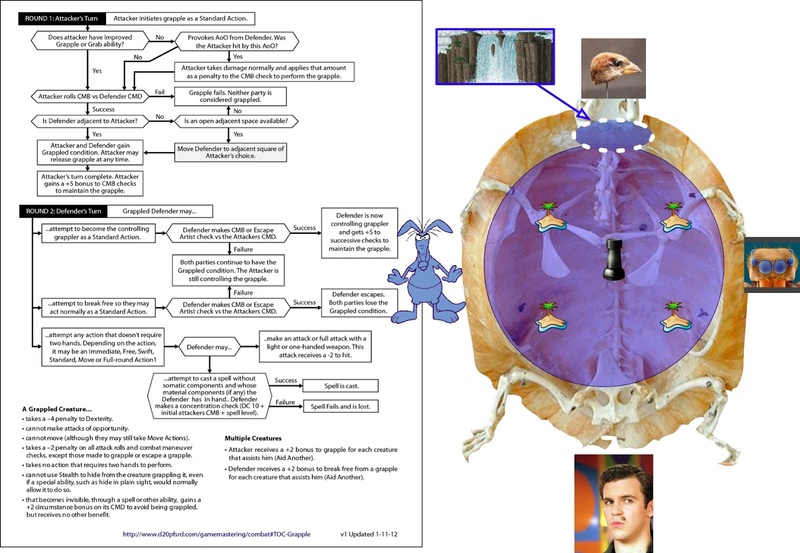 Check out a sample here. iOS RPG: Cthulhu Saves the World. This has been out for over a year and a half on iOS, and probably longer on other platforms, but I just downloaded it the other day, and am loving it. I haven’t had this much fun with an old school RPG since Chronotrigger. It is a really good time! Bravo Zeboyd games! 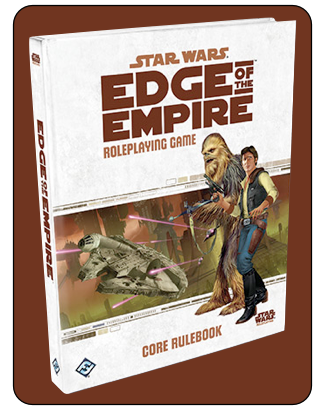 I recently picked up the Core Rulebook for Edge of the Empire, just minutes before a game session being held at our Friendly Local Gaming Store, the Wyvern’s Tale. I wasn’t completely new to the rules, having picked up the beginner game a few months ago. I had really enjoyed running the beginner game for some friends, and so I had high hopes for the big book. It did not disappoint. Weighing in at 448 pages, the book contains everything you need to run an Edge of the Empire game, other than the dice (more on that later). It is filled with rich full-color illustrations and is very nicely laid out with relevant sidebars and examples for different aspects of the game. 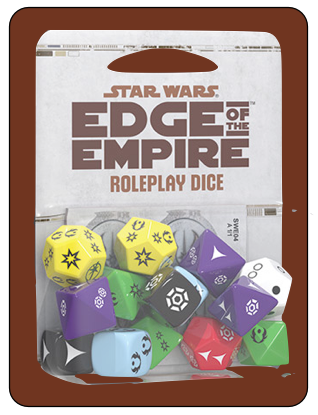 Edge of the Empire focuses on worlds around the “outer rim” of known space. The character careers and specializations reflect this Space-Opera meets Wild-west sort of feel. Each career has 3 specializations. When combined with the different race options, there is a huge variety of character options in this book. Careers include: Bounty Hunter, Colonist, Explorer, Hired Gun, Smuggler, and Technician. Each have three specializations which allow access to skill-trees that reflect that specialization. For instance, the three specializations for Technician are Mechanic, Outlaw Tech, and Slicer. A mechanic is mostly going to focus on skills that keep ships operating smoothly, An outlaw tech focuses on improving and modifying equipment and droids, sometimes with less-than-legal components! A slicer is unmatched in computer skills and accessing systems to gain advantages through information, or control over those systems. That is a LOT of variation in one career! The system itself is a unique balance of rules-light improv, and rules-heavy tables and mechanics. My favorite aspect of both the combat and skill system is that it isn’t as simple as hit or miss. When you roll a check you assemble a dice pool. The dice pool is made up of positive dice from your skill and proficiency dice, as well as boost dice that represent any factors that may be in your favor, and the negative dice made up from difficulty dice, challenge dice, and setback dice representing everything that is working against the action you are trying to accomplish. For a very difficult task, you add more negative dice to the dice pool. Rather than just being numbers on the dice, there are several symbols that can come up. On the positive dice you have symbols representing successes, advantages, and triumphs. On the negative dice you have symbols for failure, threat, and despair. For an action to succeed, you need to roll more successes than failures, but here is where it gets interesting: whether or not you succeed you can create an advantage or a setback. For instance, if you try and shoot a storm-trooper with your blaster, you may not roll enough more successes than you do failures, meaning your shot missed. 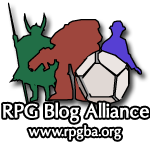 However, if you roll more advantages than you do threats, your shot has had some advantageous effect. What that is is up to you and the GM to make up. Maybe your shot hits a coolant pipe near the storm-trooper, reducing their visibility which makes it harder for them to attack you! Mechanically this adds negative dice to their die pool on the next attack, but you decide the flavor to make the action awesome! Conversely, you may get enough successes to hit, but you may also generate a threat. This could be shooting the storm-trooper in the chest, but the force of the hit backing his body into an alarm button on the wall! Your imagination is the limit, just like what every good RPG should strive to be. Ship to ship combat is done in much the same way, and in my experience moves quickly and is action-packed. 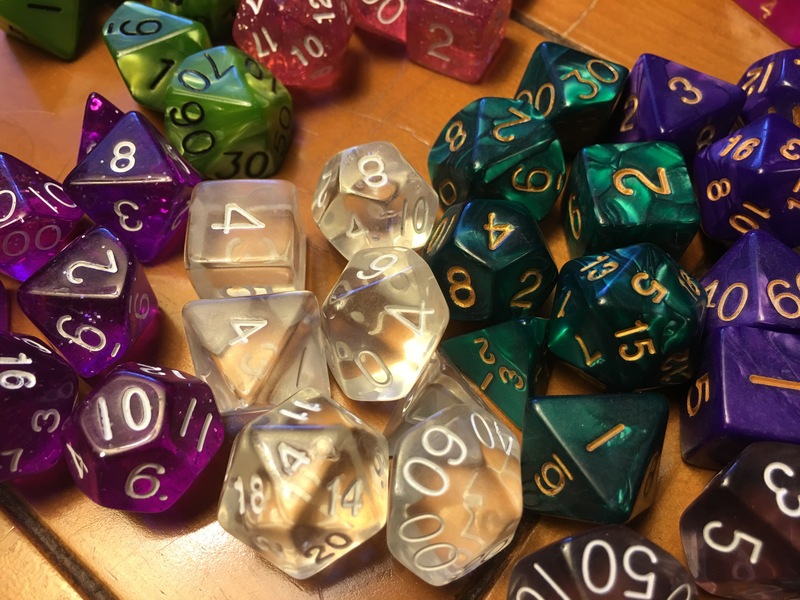 There is a conversion table for regular dice (d6, d8 and d12) but looking up all of those and figuring out which is cancelling what would bog down the action to the point where the dice really become worth it. 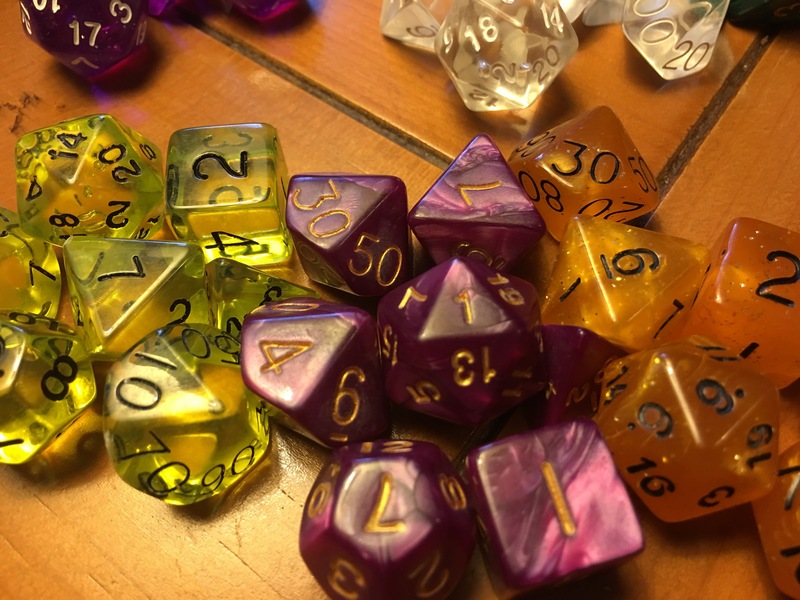 There is also an application for the dice for iOS, Android, and Kindle, for $5.00, but if your interest is piqued, I would recommend the Beginner Game, which includes a set of dice, a two-sided map, character and baddy markers, and an excellent adventure that throws you in to the action right away. I’m looking forward to running this for the guys, hopefully for many sessions to come!